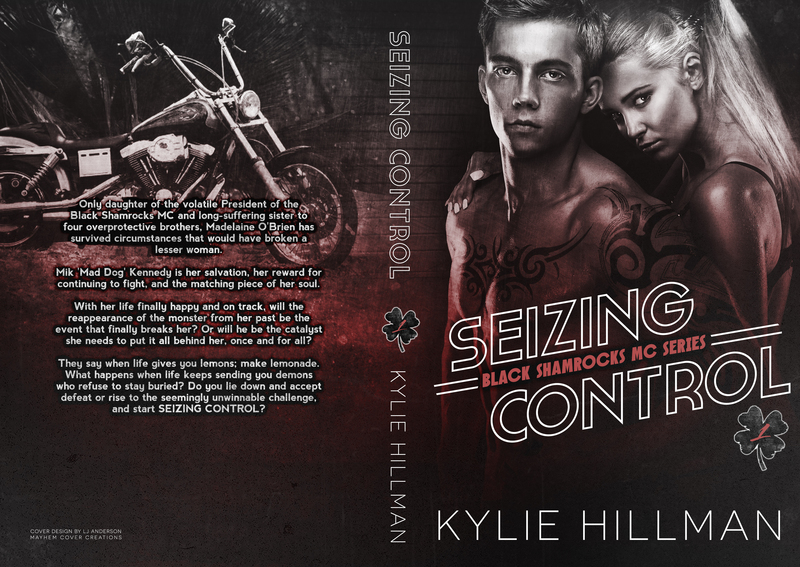 Release Blitz Seizing Control: Black Shamrocks MC #1 by Kylie Hillman w/review! Mik ‘Mad Dog’ Kennedy is her salvation, her reward for continuing to fight, and the matching piece of her soul. This was one emotional read. Kylie Hillman’s characters are intense. This book made me feel so many different emotions, anger, hate, love, sad, turned on, and had my adrenaline pumping through the whole book. Maddie is the daughter of the volatile MC president and the girlfriend of the VP but even they can’t protect her. When she was a young girl she dated the wrong man and he was a horrible monster. 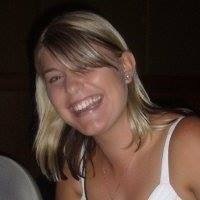 Maddie suffered in silence to protect her family. Fast forward years later where she’s healed. Maddie and Mik are able to have their HEA until the past comes calling. The monster manages to rip into Maddies world and turns everyone against each other. In graphic detail the reader can’t help but feel the intense angst that happens to Maddie. She allows the monster to consume her life again and she’s not sure who to trust or who can protect her. This book is dark, gritty, and raw with some very intense scenes. Will Maddie defeat the monster once and for all or will he completely destroy everyone in her life? Seizing Control is a great debut book and I can’t wait for the next adrenaline pumping book. Mum to two gorgeous, talented children and wife to a Harley riding Aussie bloke, Kylie spent her twenties reading multiple books from many different genres and authors, and occasionally finding the time to write a story as inspiration hit. A devastating diagnosis of severe Crohn’s Disease at the age of twenty-four brought her accounting career to a screeching halt and after recovering from multiple surgeries, Kylie was left scrambling as to where her life was now headed. She began writing again as a way to alleviate the monotony of life as a stay-at-home mother to two school aged children and was finally driven to publish her first novel after falling in love with her characters and wanting to share them with others. A self-proclaimed Queen of Sarcasm and Innuendo, Kylie also enjoys drinking copious amounts of tea, listening to eighties and nineties rock music and being taken for rides on the back of her husband’s Harley when the kids are at school. She is determined to one day ride her own Harley and her biggest wish is to see a cure developed for Crohn’s Disease in her lifetime. 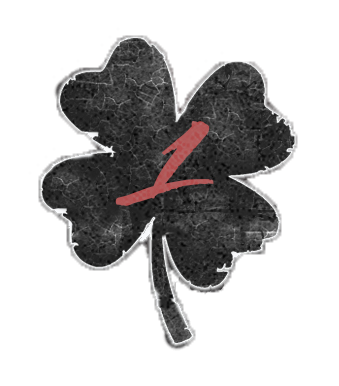 A lover of dark romance featuring hot alpha’s, sassy heroines and real-life drama, Kylie’s first series is based around the Black Shamrocks Motorcycle Club and contains everything she loves about the genre. Seizing Control: Black Shamrocks MC is her debut novel and is part of a series of five books following the ups and downs of the love lives of the members of the Club. The second book in the series, Making Choices, will follow in early December 2015.